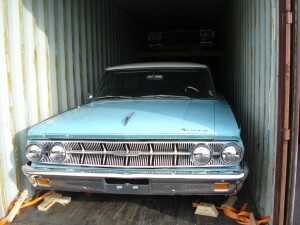 For years now one of our main routes for shipping vehicles has been from the UK to Australia. 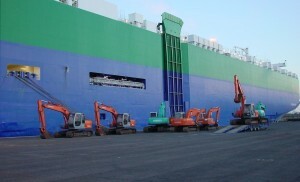 We have been shipping by Roll on Roll off (RoRo) and container to ports including Sydney, Melbourne, Brisbane and Fremantle. 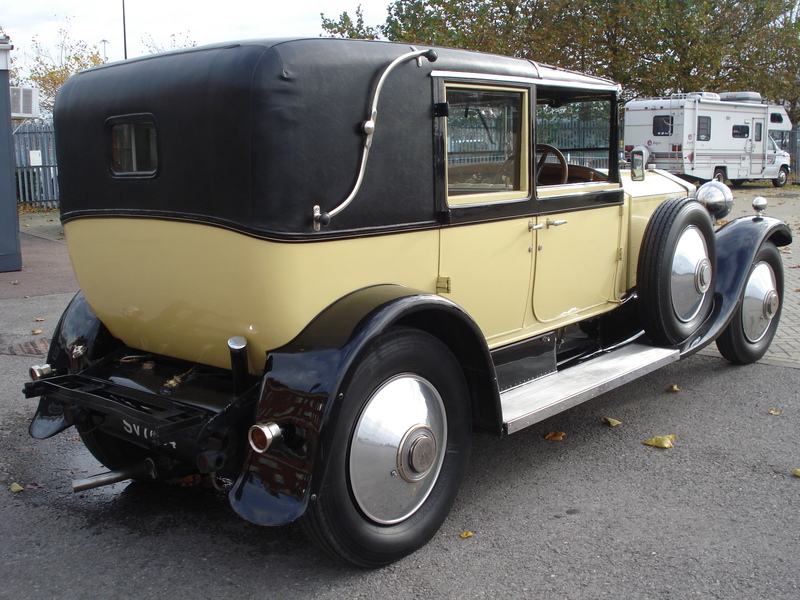 Some of the most popular models being the Lamborghini Gallardo and Ferrari 360 but we’ve shipped many other models including classic Rolls Royce, 4×4’s, standard vehicles and personal imports. 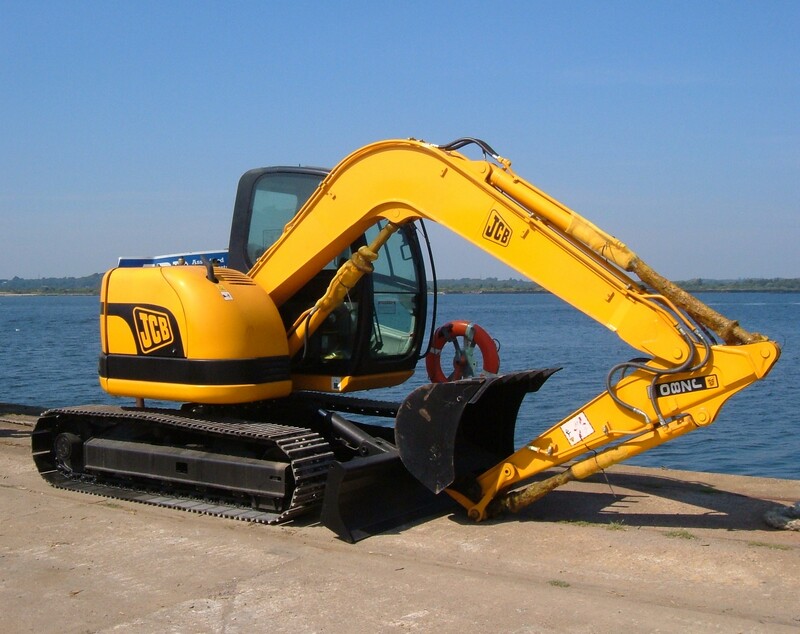 We can often assist with providing information for importation into Australia and provide assistance for the permits and degassing etc. 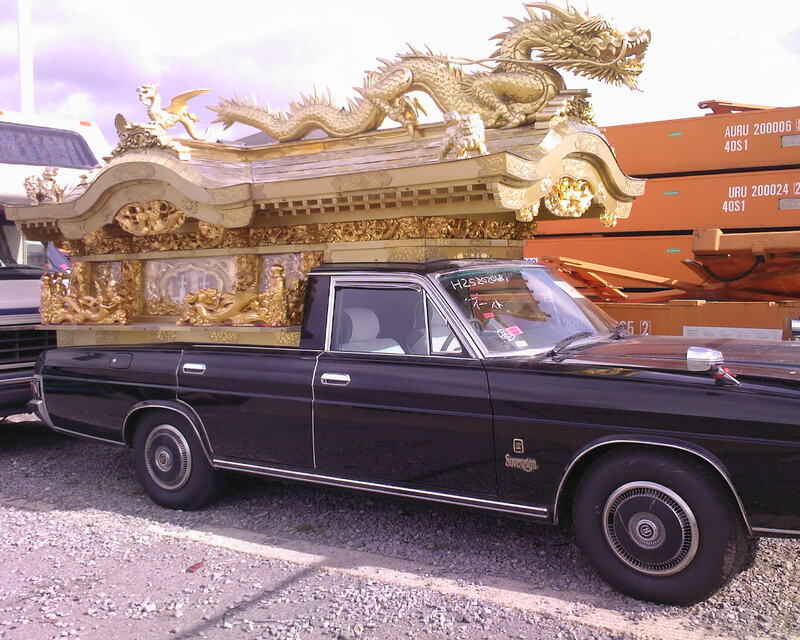 We have weekly services to Australia for both RoRo and container services and we can also assist with part loads and with the help of our agents in Australia we can export from Australia also. 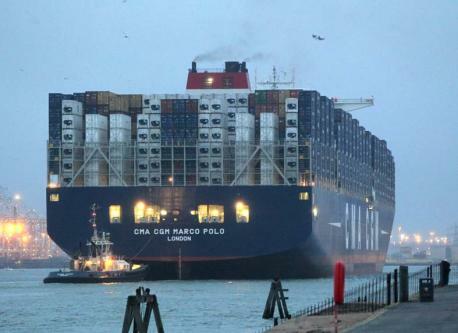 With YA Logistics (UK) Ltd being based in the heart of Southampton docks we are used to seeing all manner of vessels pass our office windows but the sight of CMA CGM’s Marco Polo simply dwarfed every other ship. 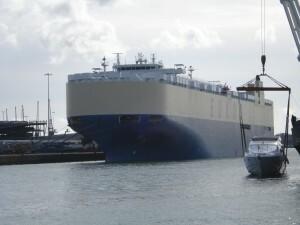 She is apparently the length of 100 family saloon cars and can carry 16,000 containers! This is the first time this vessel has ever called into the UK so its a huge bonus for the port of Southampton to have attracted such a goliath. 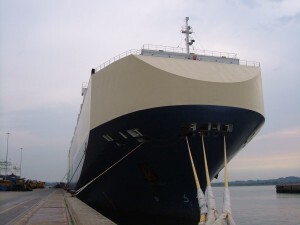 Container loading and shipping is a main focus of YA Logistics (UK) Ltd along with RoRo and airfreight so it is great to see the port entertain these new ‘mega vessels’. To enable Southampton port to handle these super containers a new £150m expansion plan is under way that will see 201 berth and 202 berth combined with a reconstructed 500m long quay wall. 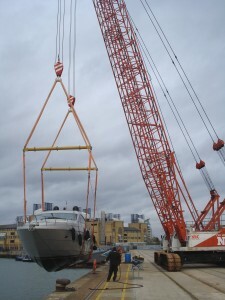 To go hand in hand with the expansion the port have also ordered 4 new giant quayside cranes to handle the mega vessels. As well as the Marco Polo we have already seen Hapag Lloyds Hamburg Express and UASC’s Jebel Ali both being able to carry 13,000 containers each which helped the port exceed 1.6 million containers so far this year! 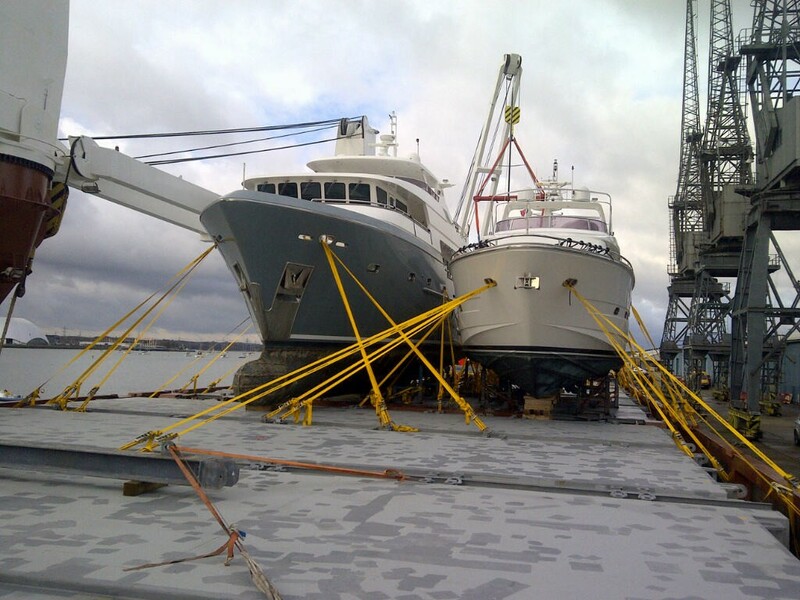 YA Logistics (UK) Ltd have shipped a couple of Super Yachts this year to destinations such as Miami, the Caribbean and Genoa, however the last one arrived into the port of Southampton and so we assisted with the cleaning and mooring. 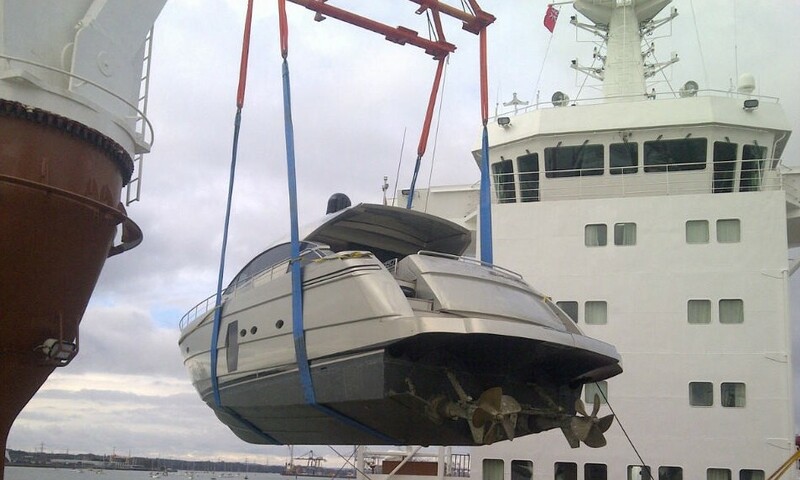 We shipped the Pershing 64 from Gibraltar to Southampton and was alongside to assist the discharge operation. 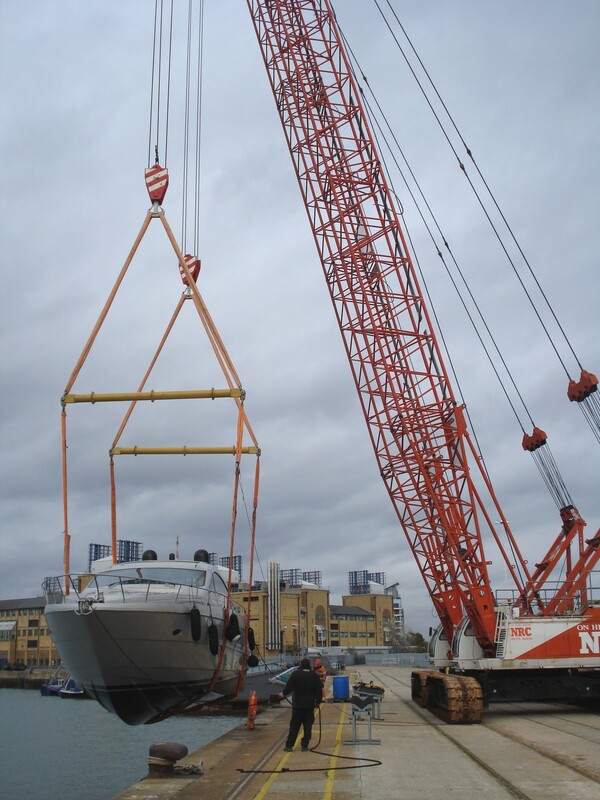 Once the yacht had been safely discharged to the water we moved it round to our compound where we were able to lift it out and commence the cleaning operation. 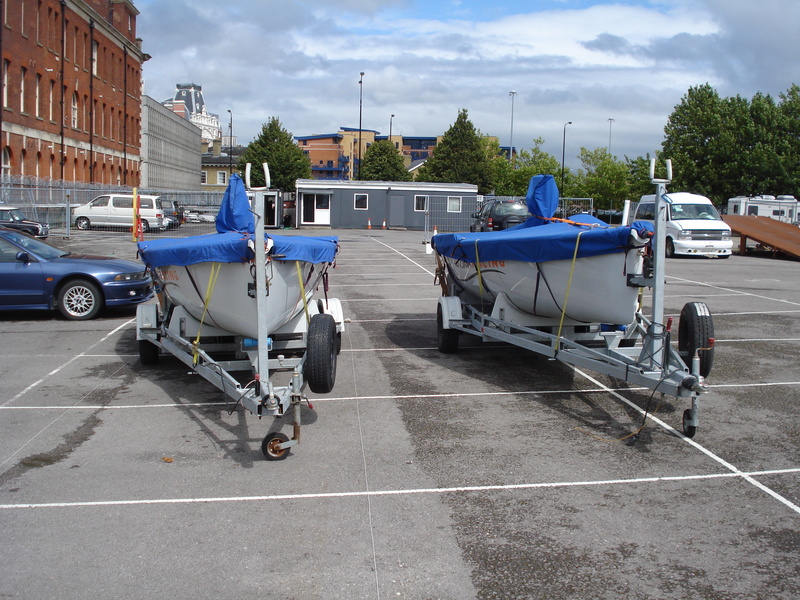 Once the yacht was alongside the quay and secure we were able to lift the yacht out of the water and begin to clean the hull. This was a delicate operation and required 2 cranes and an experienced staff but as usual the operation went smoothly and the yacht was cleaned and ready to go back into the water. 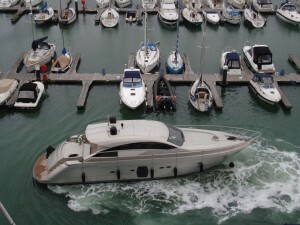 Once the yacht had been cleaned we placed the yacht back in the water and then moved the yacht to a nearby marina where it will moored for the immediate future. 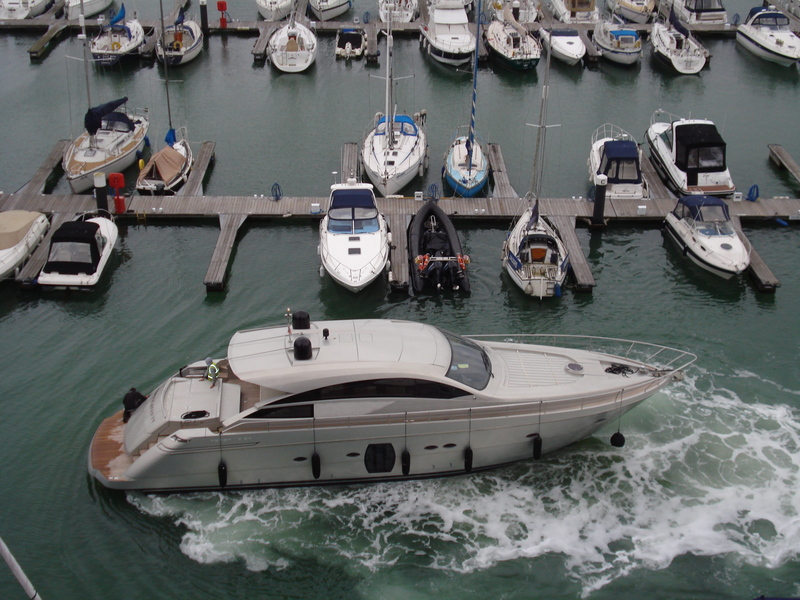 We have shipped many yachts around the world but this was certainly the most demanding but as with all jobs we aim to do our utmost to ensure the customer is cared for. Since 2011 YA Logistics (UK) Ltd has been partnered with Vestatec Ltd shipping in DFSK mini vans from China to the UK. 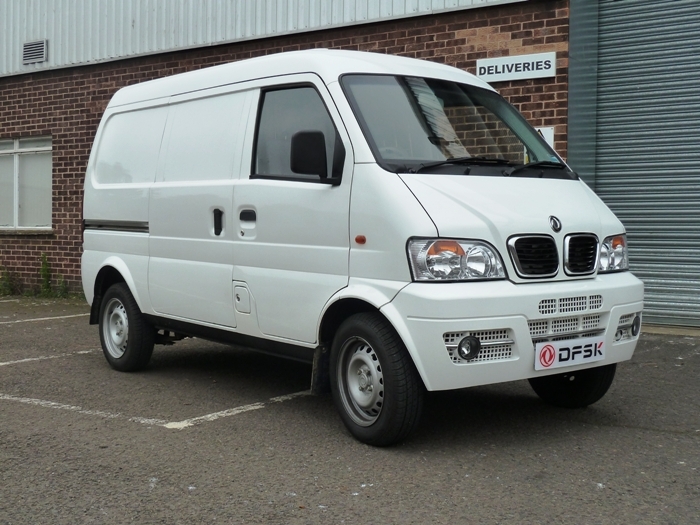 DFSK is China’s 3rd largest manufacturer of motor vehicles and these vans have been shipped in to provide a more financially viable option for this type of vehicle. 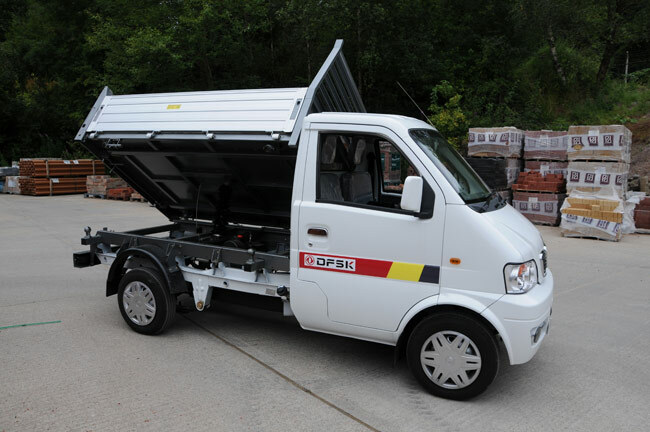 So far YA Logistics (UK) Ltd have shipped in excess of 500 units from China utilising both container and Roll on Roll off options. Once the vehicles have arrived into the UK we unload them into our secure compound within Southampton docks and begin the processes that are required to ensure they adhere to UK road standards including the IVA test. Along with delivering the vehicles to the local VOSA test station we also arrange onward delivery to dealers within the UK as well as shipping units to the Channel Islands and other destinations. We have currently imported single cabs, double cabs, tippers, vans and camper vans and 2013 looks set to be busier with the network of dealerships set up and stock/parts available. 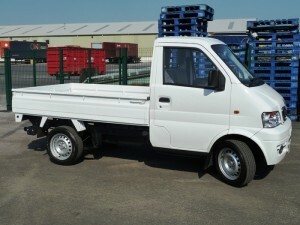 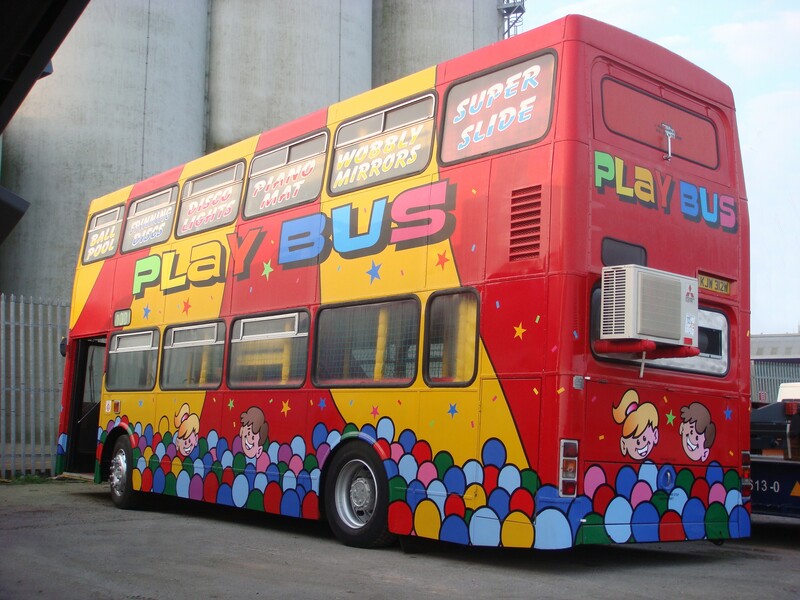 So if you are a florist, builder, decorator, food delivery service, local authority, forestry commission or other you may want to look into purchasing one of these new affordable vehicles. 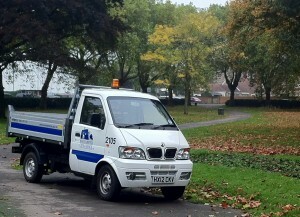 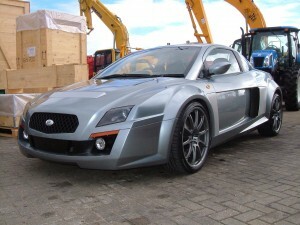 For further information please see the DFSK website www.dfskuk.com for vehicle details or contact us on www.yalogistics.co.uk or 02380 339611 for information on any shipping requirements you may have. 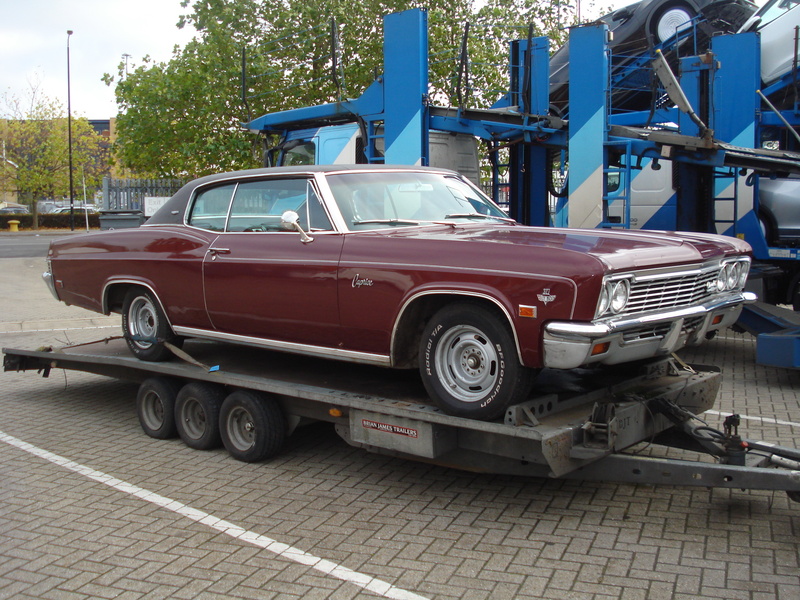 Our latest devanning job had YA Logistics (UK) Ltd unloading 3 classic American Auto-mobiles from a 40ft high cube container. Two of the vehicles had been driven into the container with the third vehicle hanging from the top container cleats by chains assisted by a wooden frame. 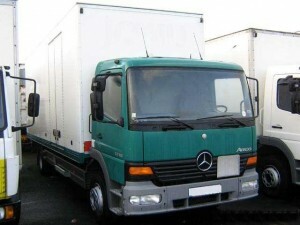 These type of jobs are certainly not easy especially as the vehicles weigh so much but once the first two vehicles were removed from the container we could start building a smaller framework underneath the rear wheels to take the weight of the rear of the vehicle and stabilise the rear of the vehicle. Once the rear wheels were stable, we placed ramps on the framework. We then brought in a containerised forklift and carefully situated the forks under the front of the framework. Once everything was in place we cut through the sides of the framework, removed the side panels and removed the chains holding the vehicle. 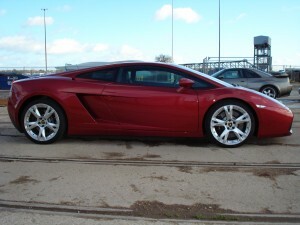 We could then gently lower the forks whilst at the same time reversing which brought the rear wheels down the ramp. 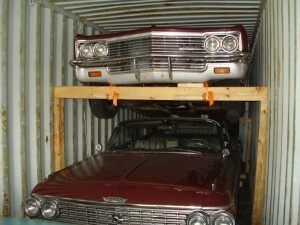 An hour later and all three vehicles had been safely and successfully removed from the container. 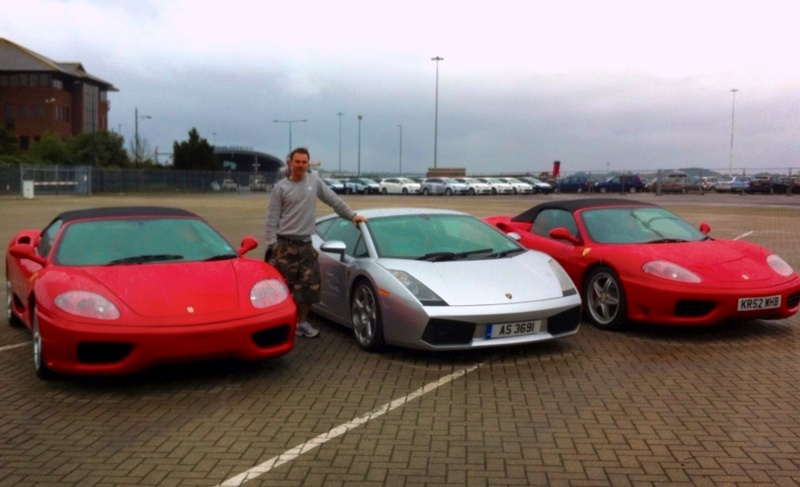 The importer arrived at the port of Southampton the next day and was extremely happy to see his purchases had arrived safe and sound. 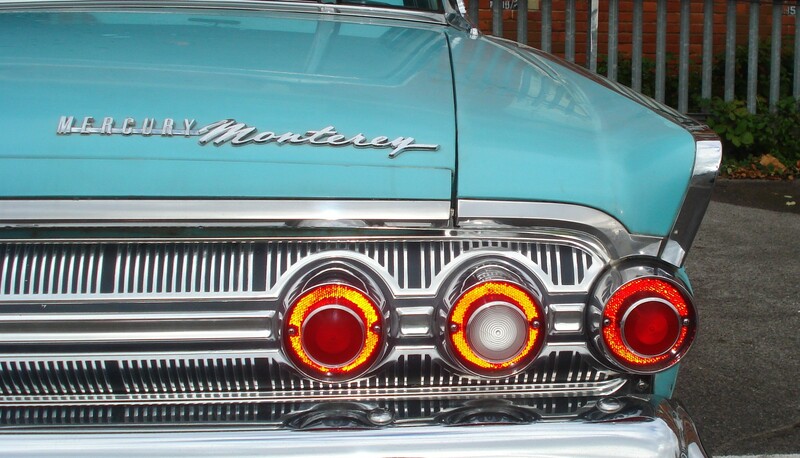 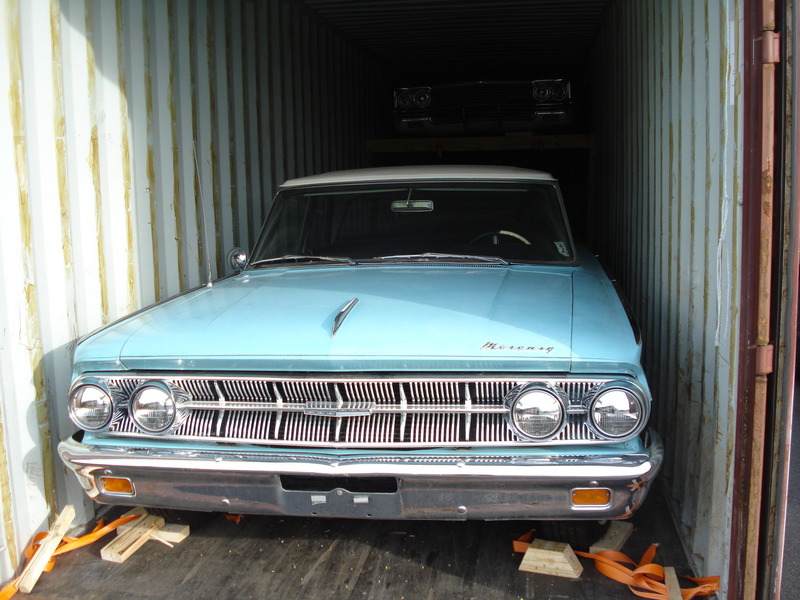 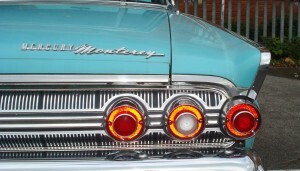 Once the final paperwork had been signed the importer loaded up the 1966 Chevy Caprice, 1962 Ford Galaxie and 1963 Mercury Monterey and drove off up the M3. For well over 10 years now YA Logistics (UK) Ltd along with our partners Yuwa Shipping Co Ltd in Japan and Eukor Car Carriers have been importing Japanese vehicles into Europe. 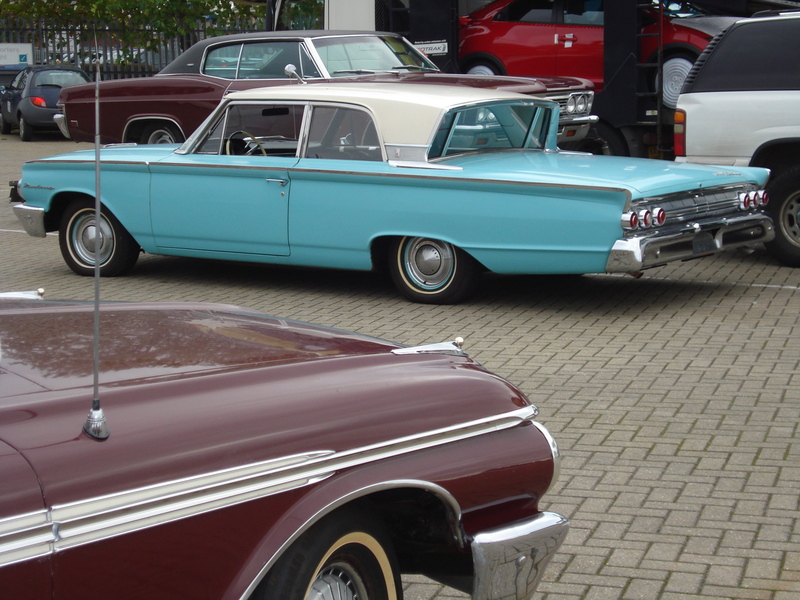 With our dedicated monthly service we have shipped over 150,000 vehicles from Yokohama (Tokyo), Osaka/Kobe and Nagoya to the UK alone with many more being shipped to the continent with the main ports being Antwerp, Bremerhaven and Rotterdam. 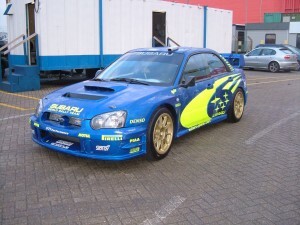 Japanese imports have been favoured by dealers and importers for many years as they generally have lower mileage, higher standard spec and much less rust than their UK counterpart. 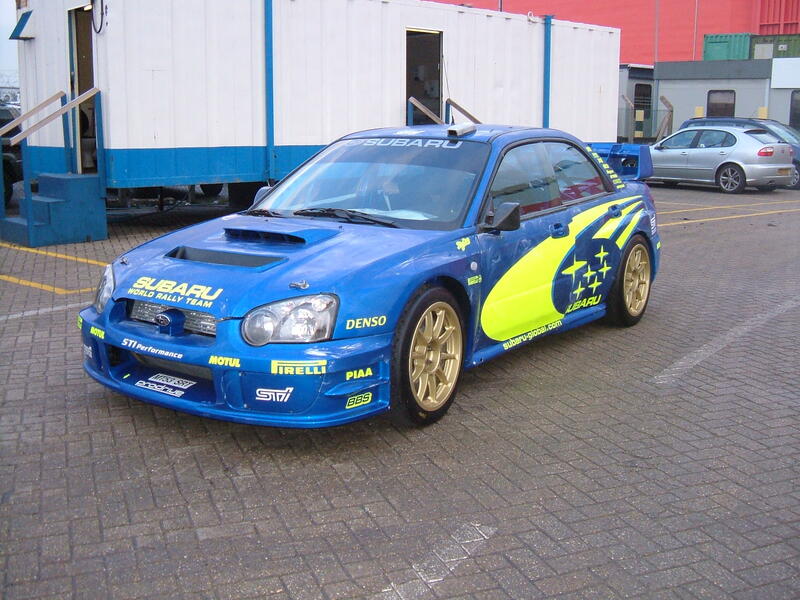 Sports cars and 4×4/MPV’s are the most popular types of vehicles with models such as Subaru Impreza, Nissan Skyline, Toyota Estima and Mazda Bongo being the most popular. Along with cars we also ship high and heavy machinery such as tractors, excavators and dumpers. 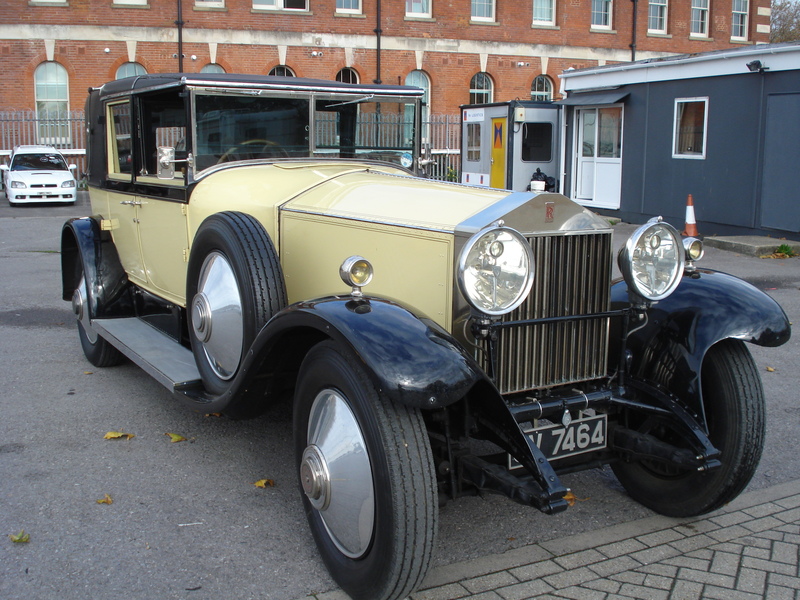 Along with the usual vehicles we have seen a number of eye opening cars over the years coming across the water on our service. 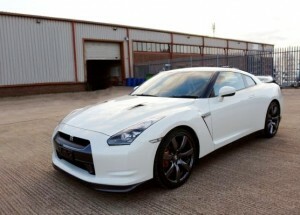 We shipped the first Nissan R35 Skyline into the country, we have seen 1000 brake horse power drift cars as well as hearses and vehicles with body kits that beggars belief! 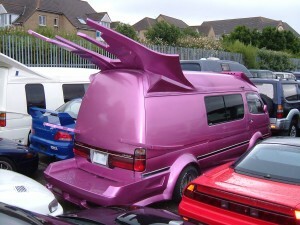 A Toyota Estima with a full on pimped out body kit! So please feel free to contact us or our agents if you have any shipping requirements from Japan to Europe. 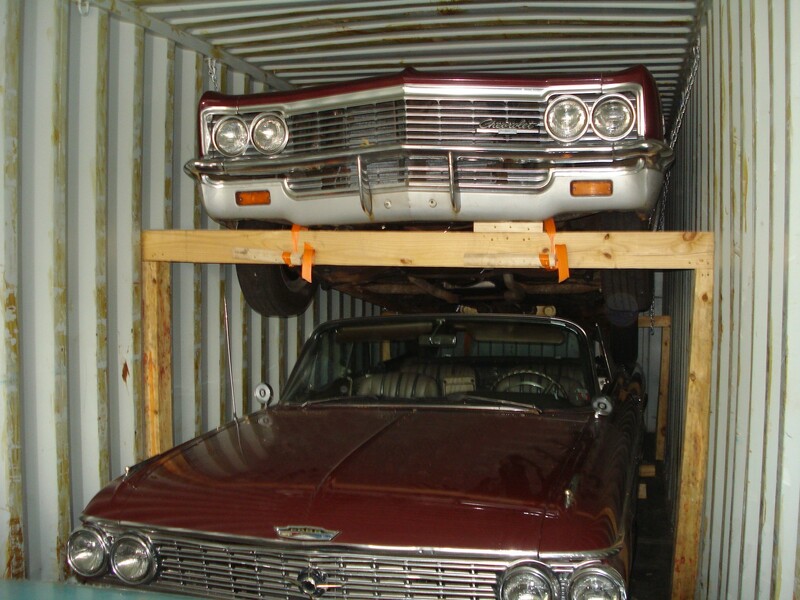 We offer the cheapest storage in Southampton and we can also provide customs clearance and inland transportation within the UK at very competitive prices. 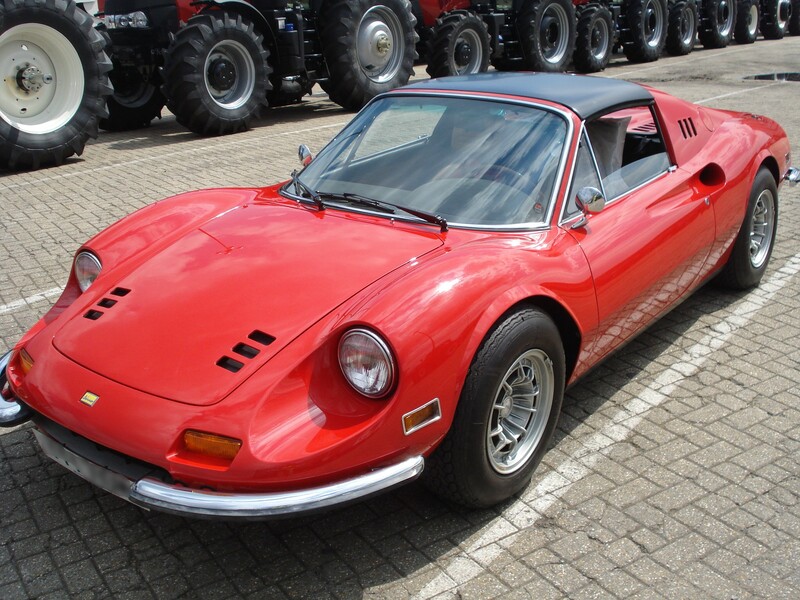 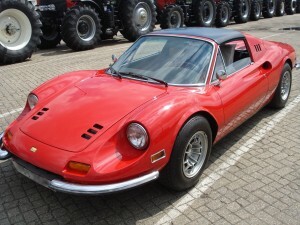 Today we took delivery of a 1974 Ferrari Dino, a fairly rare sports car manufactured by Ferrari back in the sixties and seventies for sports cars with under 12 cylinders. 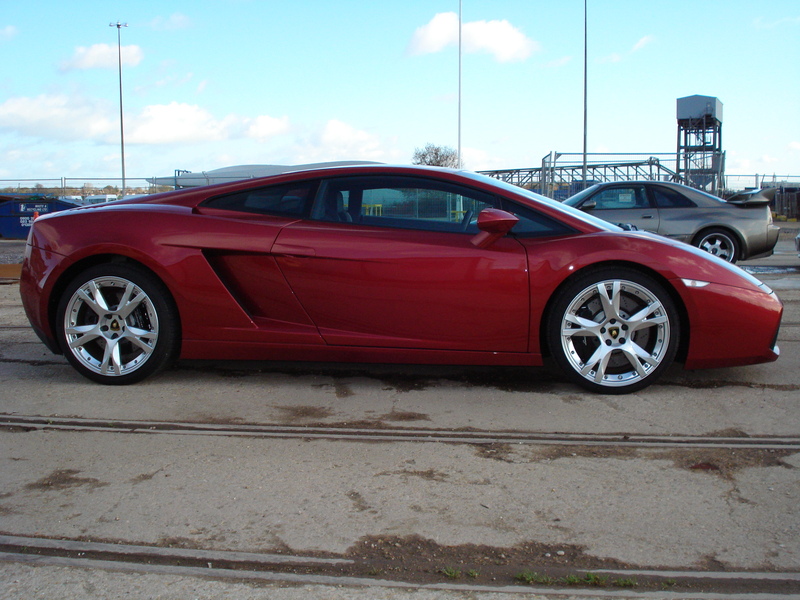 We loaded the car into a 20ft container on a beautiful sunny day in Southampton Docks. 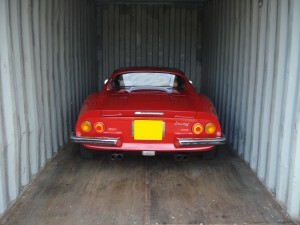 First we loaded a Porsche 911 Turbo into a container before we loaded the Ferrari Dino. 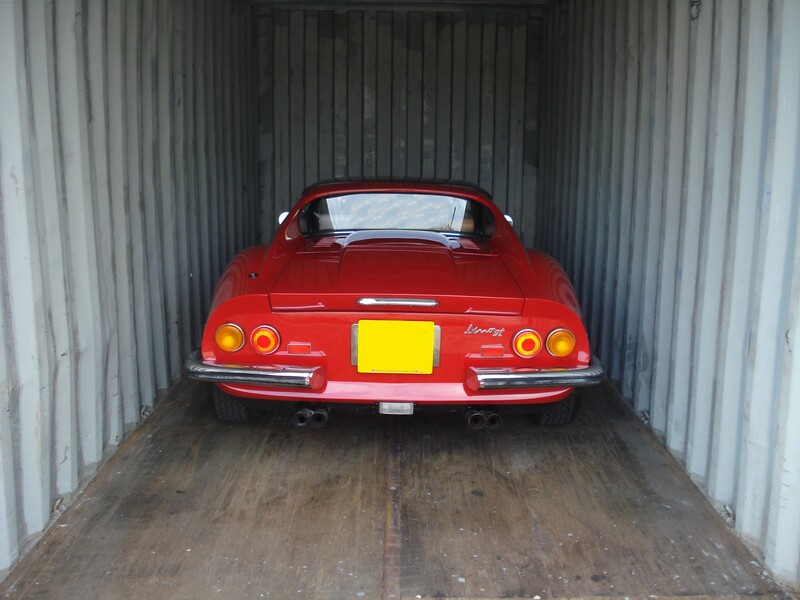 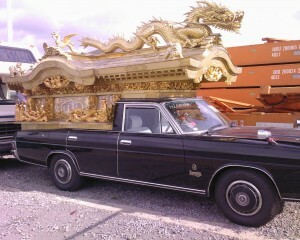 After a short period of time the Ferrari was loaded and soon secured and ready to start its journey to Japan. 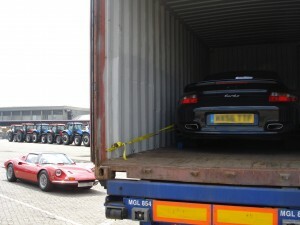 One of our most popular shipping routes at the moment is UK to Africa, especially UK to East Africa. 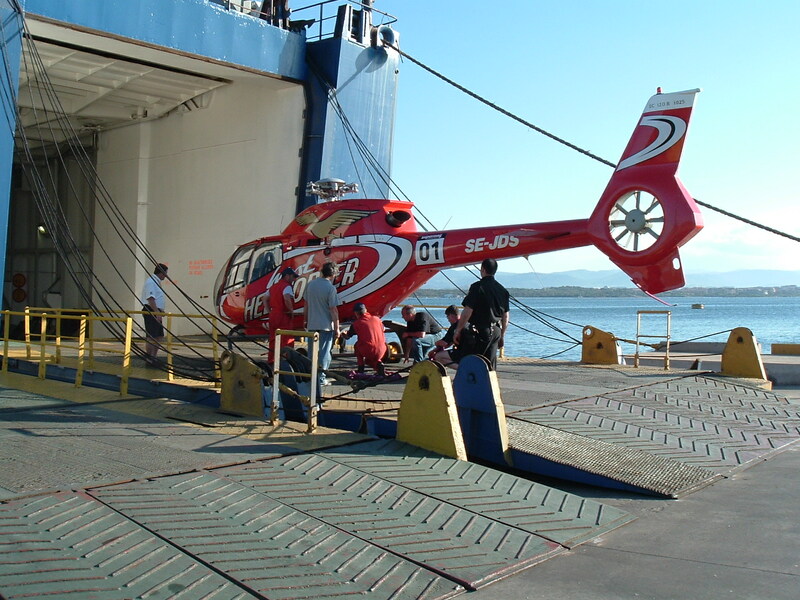 We have a weekly service from Tilbury and Sheerness to both Mombasa, Kenya and Dar Es Salaam, Tanzania. 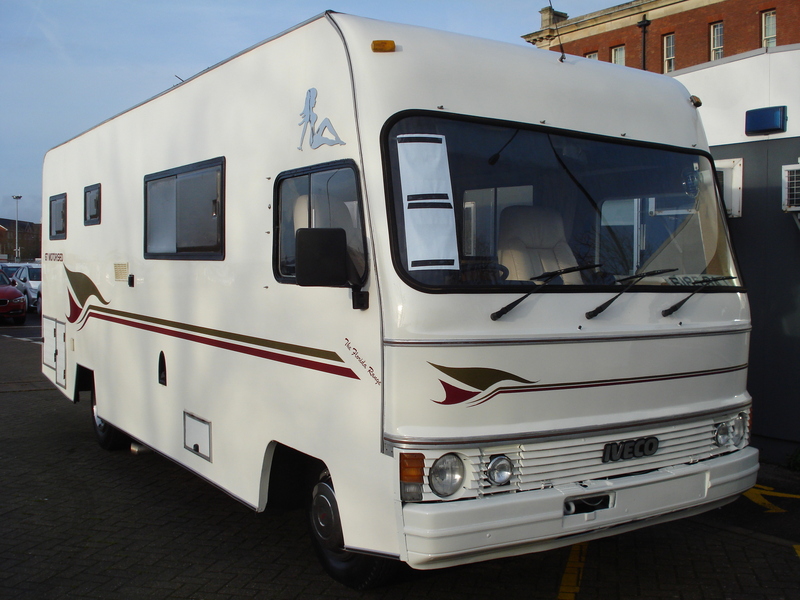 We also ship regularly UK to Walvis Bay, Namibia and UK to Durban, South Africa. We have services from UK to Luanda, Angola, Lagos, Nigeria and many other ports in Africa. We have Roll on Roll off vessels as well a containers. Although we ship a vast majority of vehicles to Africa we also ship mining equipment to places such as Burkina Faso. 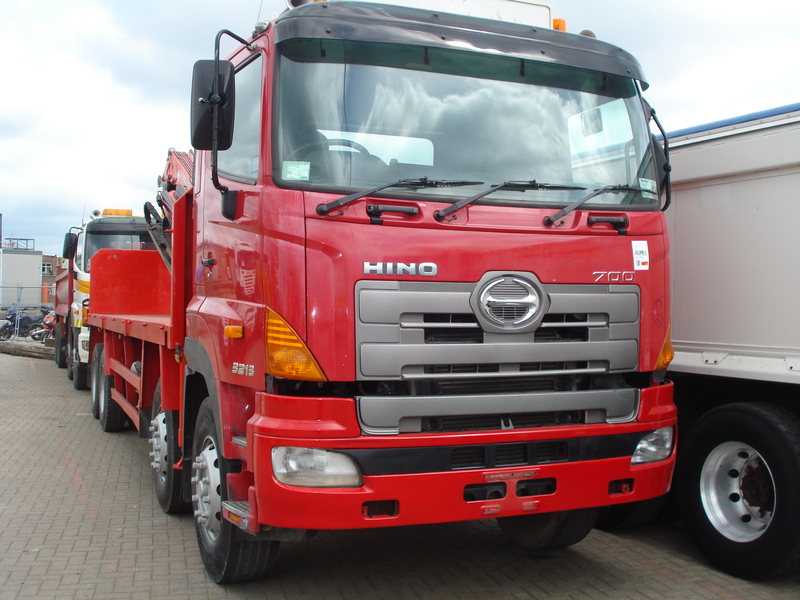 We also ship spare parts and scrap metal to Africa and our freight forwarding department can arrange to ship almost any cargo. We ship via Roll on Roll off, Containers and Air Freight to Africa so if you have any shipping requirements please do not hesitate to call us on 02380 339611. 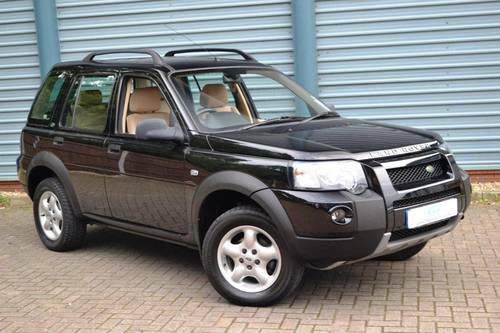 Tilbury to Mombasa or Tilbury to Dar Es Salaam for cars or 4×4’s please contact Che for competitive rates. 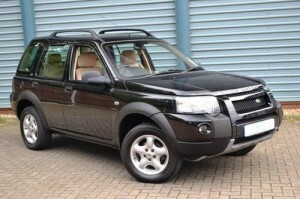 Sheerness to Mombasa or Sheerness to Dar Es Salaam for cars or 4×4’s please contact Che for competitive rates. 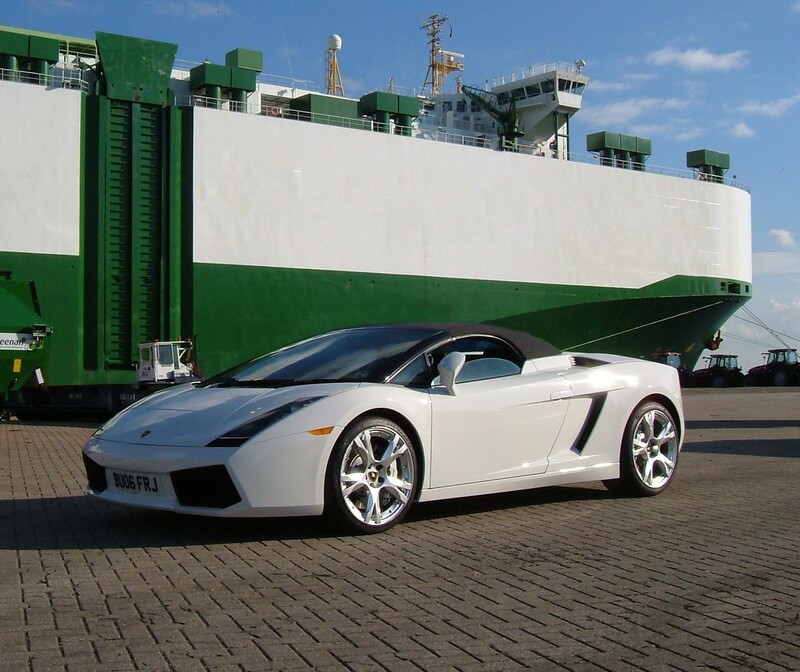 Here at YA Logistics (UK) Ltd we have shipped many types of cargo across the Globe and one that we specialise in is vehicle shipping. So if you have any requirements for vehicle shipping please do not hesitate to contact us on 02380 339611. A huge cash injection by car giant BMW means Southampton has now been confirmed as the country’s number one port for vehicle exports around the globe. 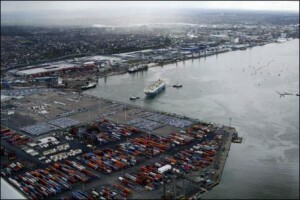 A spokesman for Associated British Ports, owners and operators of Southampton Docks, said: “This is great news for the city and further underlines the port’s importance not only to the local economy, but to the nation as a whole.’’ Southampton’s enviable position as the UK’s leading vehicle export centre has developed due to port workers who are highly experienced in the handling of vessels and roll on/roll off cargoes, the connections provided by all major deep-sea and short sea shipping lines calling at the docks, and specialist facilities including four dedicated, multi-storey car terminals. 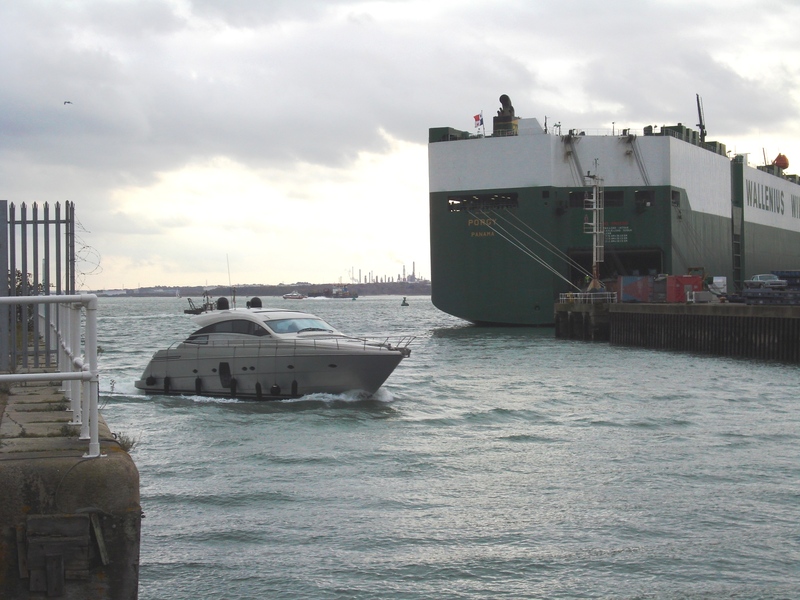 With our headquarters based in Southampton Docks, YA Logistics (UK) Ltd are in a fantastic location to take full advantage of the benefits the expansions will bring including storage areas and better quay facilities for loading and unloading. 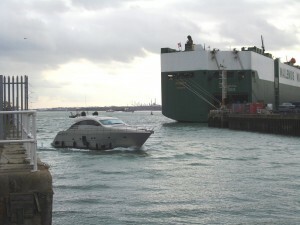 Although we ship from all ports in the UK, Southampton is the largest and busiest RoRo port offering services all over the Globe with some of our most common routes serving America and Australia.